A lowdown on all the goings-on in the Telugu film industry. 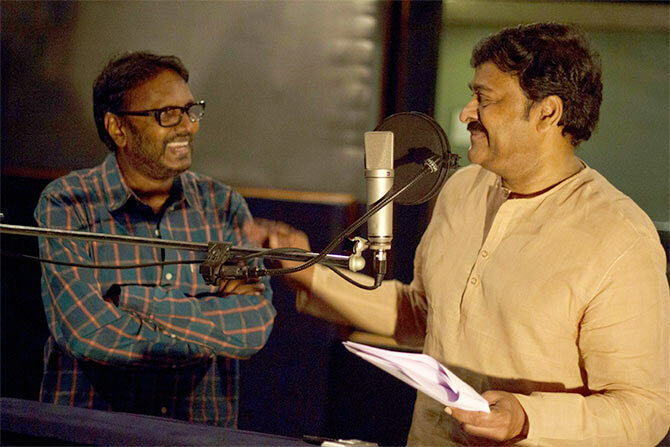 Telugu film Rudhramadevi has made news again with director Gunasekhar managing to get Megastar Chiranjeevi to lend his voice for the narration in the film. The movie is said to begin with Chiranjeevi narrating the main plot. The film has been made on a lavish scale, with a huge budget and an ensemble cast. Rudhramadevi is India’s first 3D stereoscopic historical film. The release has, however, been delayed. Richa Gangopadhyay, who grew up in the USA, and acts in Telugu and Tamil films, was honoured in Michigan, her home state. The Bengali girl was presented with the Michigan India Hall of Fame and Congressional Recognition and given a certificate and memento by the Michigan India Association. She acted in films such as Leader (her first film, directed by Sekhar Kammula), Mirapakay, Mirchi, Nagavalli, and Osthe, among others. Richa then decided to take a sabbatical and return to Michigan to study further. 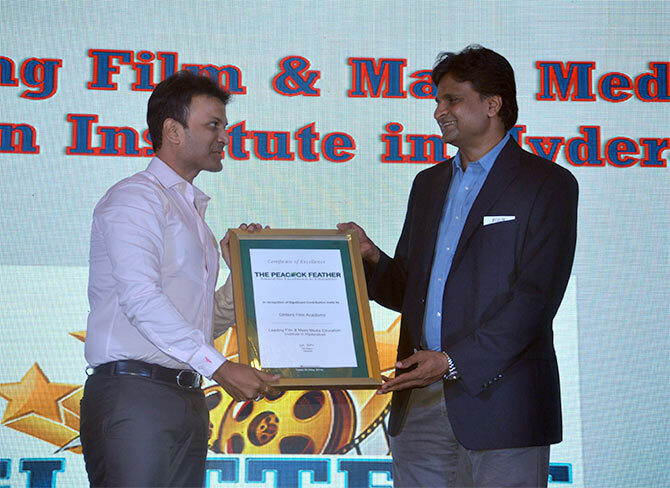 Glitters Film Academy in Hyderabad has been chosen as the Best Film & Mass Media Education Institute in Hyderabad. ThePeacock Feather(Award for Excellence in Education) was presented by former cricketer Javagal Srinath recently to Deepak Baldev who began the academy in 2001. After getting a diploma is acting and direction from Asha K Chandra’s film school, and working there for a short time, Deepak returned to Hyderabad and began this school. It was inaugurated by music director Devisriprasad. Some of the well-known names who have trained here are Neha Sharma (who made her debut with Ram Charan in Chirutha), Vaibhav (son of director Kodanda Rami Reddy), and Ruby Parihar (who acted in Prasthanam). “We get students from different parts of the country. We provide accommodation for them. The fees are nominal,” says Deepak. Personality development and discipline is woven into the course. In the director’s course, students get the opportunity to intern as assistant directors in Telugu films, he added. There is a master class during the six-month course where a director or an actor comes to speak and inspire the students.